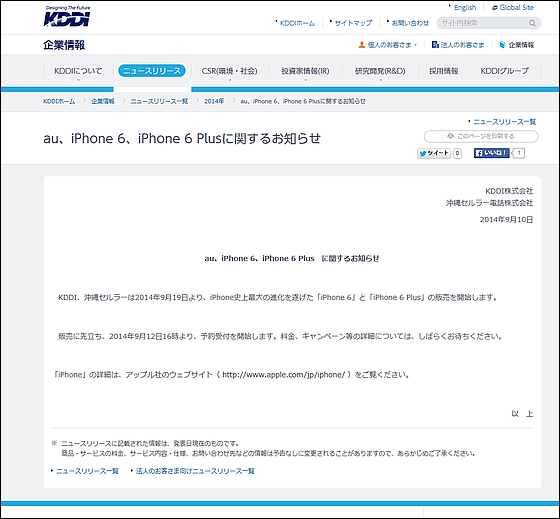 Au announces reservation reception date of "iPhone 6" and "iPhone 6 Plus"
"KDDI, Okinawa Cellular will begin selling" iPhone 6 "and" iPhone 6 Plus ", the largest evolved iPhone evolution since September 19, 2014," according to Apple official announcement, 9 It was announced that it will be launched from Friday, 19th (Friday), and the reservation acceptance start date and time was announced at the same time. 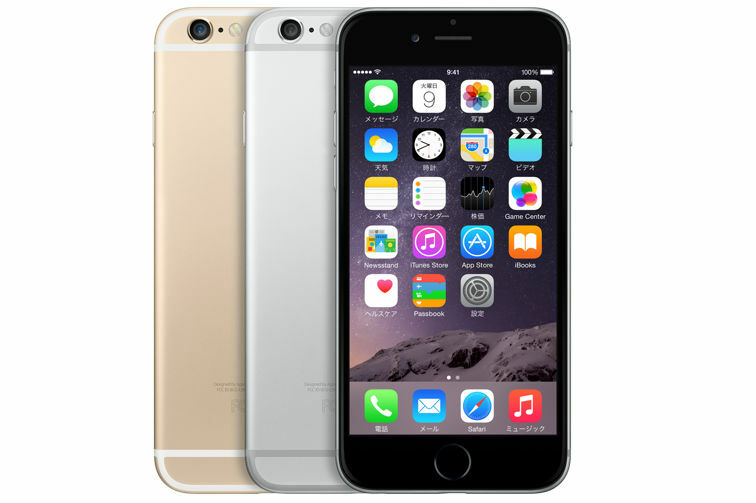 The reservation reception start is "From 16 o'clock on September 12, 2014". The details of the charge and the campaign are not yet announced. 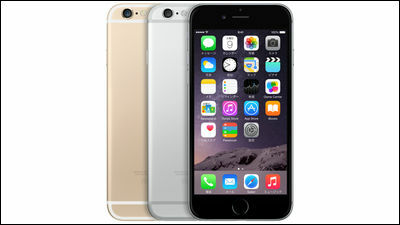 NTT Docomo announces reservation reception date of "iPhone 6" and "iPhone 6 Plus"
Au announces the release date and reservation start date of the new iPhone "iPhone SE"
SOFTBANK MOBILE announces reservation reception date of "iPhone 6" and "iPhone 6 Plus"
Au also officially announces the release date & reservation start date and time of "iPhone 6s / 6s Plus"
Docomo also announces the release date and reservation start date of the new "iPhone SE" and the new "iPad Pro"
SOFTBANK also officially announces the release date & reservation acceptance start date of "iPhone SE"
That Microsoft expects to acquire the developer of "Minecraft"